The OSCE Office for Democratic Institutions and Human Rights (ODIHR) and the Norwegian Helsinki Committee supported the discussion financially. The aim of the event was to present and discuss the activities of dialogue and peace initiatives undertaken by non-governmental organizations and international institutions to resolve the armed conflict in the East of Ukraine. Enver Djuliman contributed with his long experience in peacebuilding efforts on behalf of the Norwegian Helsinki Committee. 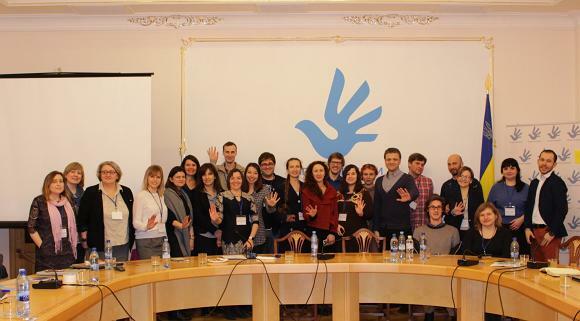 civil society and the Russian-Ukrainian dialogue: the image of the future.